Discussion in 'Thumpers' started by valvecrusher, Mar 17, 2008. 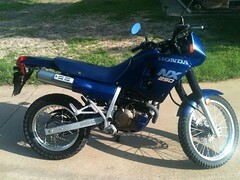 Ok, I have a 90 nx 250 with a bad front master cylinder, would I be able to replace it with a part from an 84 xr250? My NX250 battery was getting weak, I don't know how old it was so it was replaced with a new one about a week ago. Problem solved, or so I thought. After a week of riding it, the battery was weak once again. Maybe a defective battery? After all, it was the cheap Chinese one that they had at the shop. I pop started the NX and put the mulit-meter on the battery leads, 11.5 volts at idle and 11.81 volts at 4,000+ rpm. So, I don't have a repair manual...anyone have any troubleshooting ideas? Voltage regulator? Stator? 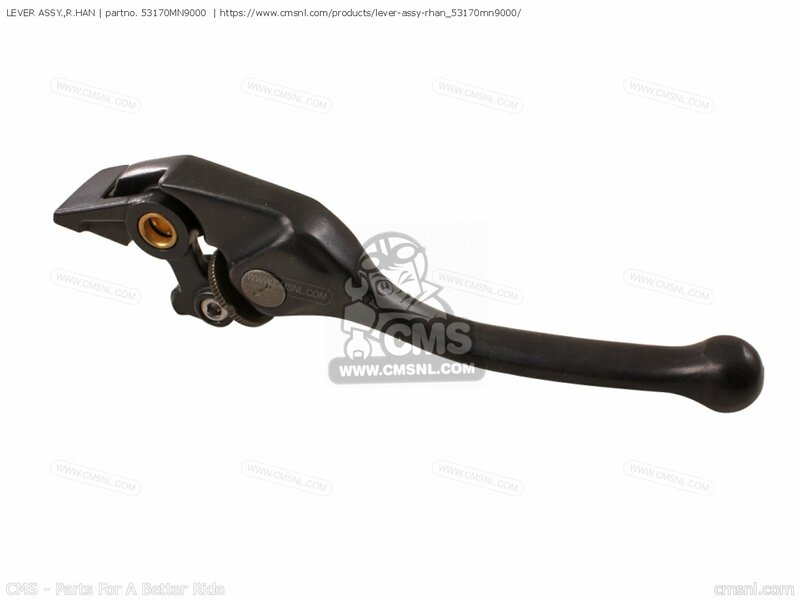 Yes, you can replace it, but pulling the brake lever will be harder in order to get the same brake power. The reason is that the diameter of the Xr master cylinder is larger. The NX250 cylinder (and the XL350/600/NX650 and some XR600/650 models) got 11mm (see below). The Xr250 master cylinder has 1/2 inch (12,7mm). At least the one I got. The OEM is 53170-MN9-000. Not all Dominators got that shorter and adjustable level, for some reasons the US-Dominator got one much like the one from the NX250. I have been cruising craigslist for the last couple of weeks for a smaller dual sport for commuting to and from work and fishing holes with an occassional foray into the desert and mountains for a joy ride. 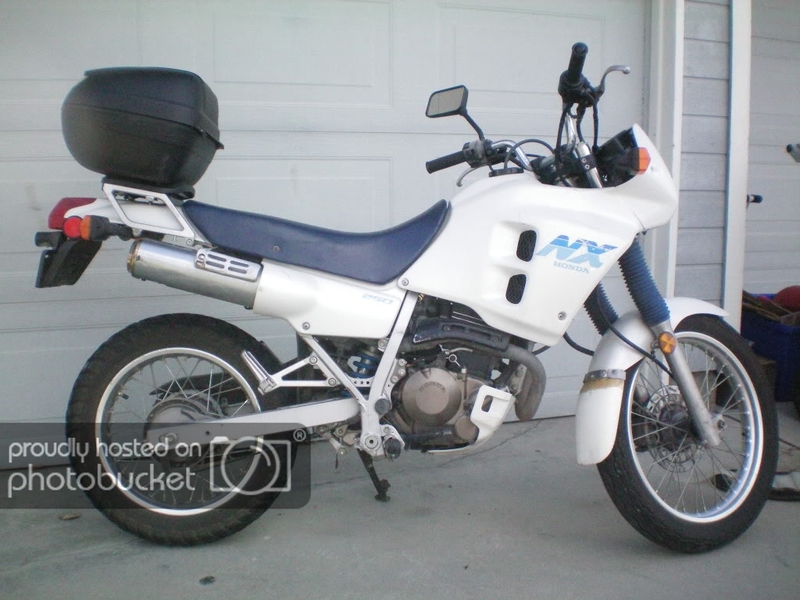 I was close to making a deal on a ratty 94 XT225 when this ad for an 89 NX250 pops up. I was the first caller on it and made arrangements to be the first to look at it. 7900 miles on the clock and good over all condition. There are a couple of minor cracks in the plastic and the turn signal switch is gummed up and operates hard. I offered him $1000.00 for it and we made the deal. I will pick it up this weekend and post some pics. It has a Trail Wing 40 on the rear with lots of tread left but the front is some Chinese street tire so I will be ordering a TW 39 for the front next week. Thanks for all of the great info on this site. So got the NX starting great, I adjusted the Accelerator pump and cleaned the carb again. Now I have a unusual issue. The bike will start and idle fine but when you are twisting the throttle once in a while it will idle high ~2500RPM and the only way to get it back to normal is to twist the throttle. I have checked the throttle cables for kinks and lubed them well. The issue still is there and it's erratic. I don't notice it as much when I am riding it more when I am just revving it in neutral every 5-10 twists of the throttle it will stay high and I'll have to give it another twist for it to come back down. Can someone please measure the diameter of the rear tire on your bike? I noticed some of you guys have changed the front headlight/instrument panel with a simple mask, what did you guys do with the extra wiring ( The light bulbs for the instrument panel and so on)? Is it possible to just stuff the wires under the tank, or will it somehow interfere with something? Using a simple mask would save a lot of weight, making the bike more nimble. i used the duro median, good tire. about 70 bucks. check the 1st page of this thread for other possible options. the duro is taller so youll loose a little umph at take off but youll gain a little at the top. I use the Duro 130/90-16 because I wanted to try a 60 street / 40 dirt tire. It's huge and weighs 15 lbs. (2 lbs more that the TW40). TW40 = 24.504" diameter Duro = 25.213" diameter and the rear shock (SV650) bottoms with no tire rubbing! I leave the Duro on the 16" rim and use it when awaiting new rubber for the 17". The Duro wears very slowly even with a 43 tooth rear sprocket (has not worn much at 1800 miles. The TW40 is a better street tire for sure and rivals the Duro on gravel roads. Both the TW and the Duro clog with the slightest hint of water when in the dirt. If you can keep the bike upright, both will get through nasty sections at a reasonable pace. along with a 13T and 46T sprockets and a proper 21" fender and fork brace that is yet to be fitted. Remove the tensioner and retract the plunger about 3/16" by turning the adjuster clockwise. Hold the plunger firmly in. Place the tensioner (plunger side down) on a bench. Place a 1/2" drive 1" impact socket over the outside (outside is now facing up) portion of the tensioner. Observe how the plunger remains retracted with the weight of the socket. Now do the same test with the socket as a test weight, but retract the plunger close to its most retracted position by turning the adjuster clockwise. You will notice that the plunger spring tension easily overcomes the weight of the socket and the plunger extends. This test makes clear that the pressure exerted by the plunger depends on the position of the plunger. A more retracted position (new chain) will apply more pressure to the tensioner guide and thus the chain runs with less slack (less noise). A high-mileage worn chain will receive less pressure and will likely whip around and damage the inside of the cam chain cavity or at best will make a lot of unpleasant noise. I also discovered a few idiosyncrasies about high-mileage NX250 automatic cam chain tensioners (and I think this has already been discussed). The adjuster wants to rotate clockwise (making the chain more loose) in an oscillatory manor during actual running conditions. As soon as I witnessed this behavior, I knew that I had only two options. I would have to buy a new chain and tensioner, or I would need to try the adjuster lock bolt solution mentioned in this thread. I tried the lock bolt, but I discovered that a rough ridge on the end of the bolt was attempting to turn the adjuster clockwise due to friction when I tightened it. I filed the end of the bolt smooth and tried again with a little grease on the end of the bolt for extra insurance. Problem solved. The next problem was the fact that I needed to know how far to run the lock bolt in. 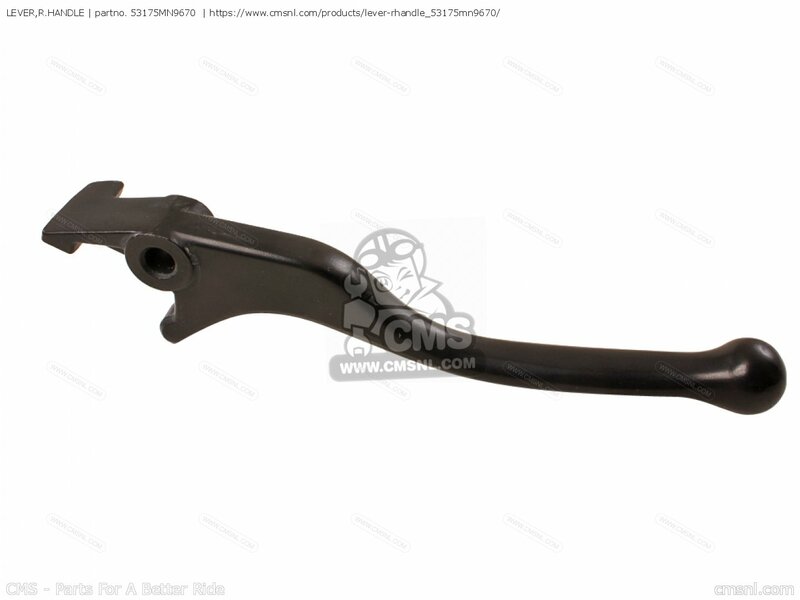 Not enough, and it wont do anything to help the adjuster, Too much and it could break the tensioner housing. It turns out that (at least on my tensioner) the correct amount to thread in the lock bolt is from 1/2 turn to 3/4 turn after first contact with the end of the adjuster. At that point, the plunger is extended outward to its stop, but does not push out with enough force to break the housing. Once you reach a little less than 1/2 turn, pay VERY close attention to a sudden increase in force required to turn the lock bolt. You really need to be paying attention at this point. When you get the bolt right, tighten the jam nut down onto the original aluminum sealing washer (I used a regular washer to protect the sealing washer from the jam nut). Adjusted the tensioner according to the service manual. Started the motor with the short stock sealing bolt & washer left out. Used a 1/4" drive spin handle, 6" !/4" drive extension, 1/4" drive universal, 1/4" deep well socket, and a small #4 slotted head screw bit to reach the tensioner adjuster (a magnet inside the socket will keep the bit from wandering off). Turned the adjuster just slightly clockwise to get accustomed to the noise resulting from excess cam chain whip. Turned the adjuster counter-clockwise just enough to stop the sound of chain whip. Stopped the engine while making sure to hold onto that adjuster setting (remember,a high-mileage adjuster is dancing all over the place). Ran in the locking bolt and tightened the jam nut as described earlier. One thing should be made clear after all of this. I do not think it is a good idea at all to insist on using and old chain and adjuster like I did. Go buy yourself new parts and do the job correctly. You'll have no retarded cam issues and your cam train will be far more reliable, not to mention, you won't have to worry about the chain chewing through from the inside. It is not as complicated as for instance with the 650 Dominator, since most electric components are located elsewhere. E.g. the CDI is under the tank and the fuse box under the seat. So you only have to shorten a couple of cables for the lights etc. The main problem however is the steering lock. It will collide with the headlight of masks that are simply strapped to the fork. So you have to find something you can fix with some distance to the fork. I took headlight and speedo from a Kawasaki KLX, and I even got the tachometer working. Hey i just noticed the skid plate. What model is it from? Saw the pipe restoration in this thread thought ide do one too. only thing i did differently is... used DE-RUSTER by Purple Power... I love this stuff. with metal prices skyrocketing every piece i can save... im all for it. I hit the metal that needs to be cleaned with de-ruster even before sanding. It chemically reverses and converts Ferric Oxide back to Iron Phosphate, treats the metal against further rusting and for painting. I'm very interested to see how it works under extreme temps such as the pipe. I've used this stuff on rusted up bolts and watched rusted threads turn back to threads again, I put it in a spray bottle and spray the underside of my truck...good stuff! I have pics of the restore so if someone can easily explain to me how to post pics ill put em up. Hello all! I'm posting to introduce myself. I went looking for an NX250 fan club and ran accross this thread. Back 25 years ago I wanted one of these little bikes so bad that I could taste it! With a young family to support, it wasn't going to happen. Then last summer, I was walking into my Honda dealer to order a new battery for my Goldwing when I spied my little blue beauty. I shook it off as being impossible... "No 20 + year old bike could look that good", I said to myself. "Just wishful thinking on my part." I ordered the battery I was after and started to leave when something made me go over and just look. "What's the harm in just looking? ", I told myself. It turns out, it was indeed a 1988 NX250 with 813 miles on the clock. I asked if was a display bike or if it was for sale. The sales guy told me that it was for sale and the story behind it. It was purchased brand new at that dealership in 1989 to spend it's life on a bumper rack of a retiree's motor home. After several years, the retiree parked the motorhome in his barn and lived out the rest of his life at his home. After his passing, the grandson was selling the motorhome when he discovered the little motorcycle still on the back bumper under a canvass cover. The original bill of sale was still in an envelope under the seat. So he sold it back to the dealer. Neat story. I've got 2,400 miles on it now and I think its time for a valve adjustment. 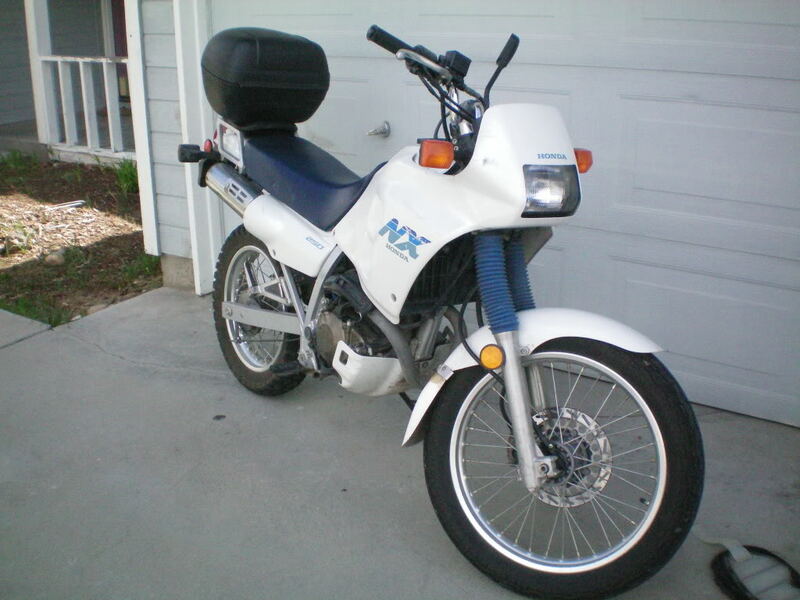 It is an '89 with 7803 original miles. Just needs some spring time maintainence/house keeping and maybe a coat of OD Green Krylon. Some of you guys may still remember the famous XR600 HRC tuning kit. As it turns out, there was something like that available for the NX250 in Japan, consisting of camshafts with 0,75mm more lifting, stainless steel manifold and Keihin PD carburetor. At least the camshafts can be still found in some part lists (http://img3.fotos-hochladen.net/uploads/partlisthrb9s2d1wo.gif) . Together with a little cylinder head optimizing, more than 30ps and 150km/h (93 mi/h) should be possible. Than you can hunt NX650s on the German autobahn (at least the ones without oil cooler ;-)). nice to see some action here, welcoming all the new nx'ers! and clanbree thats quite a score! scrambler66 you should collect those spares and sell them to me! oh a stainless pipe and cams and a better lung! and helper monkey, that green and blue combo... well, um hmm............................................................................................................................................................................................................................jk, if you do rattlecan her, krylon fusion paint holds up well.